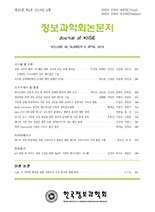 Munhyong Kim, Hyopil Shin,(2016).Automatic Product Review Helpfulness Estimation based on Review Information Types.정보과학회논문지,43(9),983-997. 온라인 상품평 양의 비약적 증가로 인해 소비자들이 유용한 상품평 만을 찾는 것이 거의 불가능에 가까워졌다. 이 연구는 온라인 상품평의 유용성을 자동적으로 평가할 수 있는 토대를 마련하는데 그 목적이 있다. 이를 위해 상품평을 이루는 문장에 담긴 정보를 설명하는 그 대상에 따라 종류를 나눌 수 있도록 상품평 정보 분류를(Review Information Types) 제안하고, 각 정보 분류 내에서 문장의 주제 벡터 변환 방법과 군집화를 이용하여 더 세부적으로 각 문장이 어떤 정보를 제공하는지를 추출함으로써 각 상품평이 제공하는 정보에 따라 그 유용성을 평가하는 방법을 제안한다. 이러한 시도는 잠재적 소비자들이 상품평에서 상품 자체의 특성이나 상품평 제공자의 경험과 같은 정보를 배송과 같은 정보보다 중요하게 생각할 것이라는 가정에서 시작했다. 자동 상품평 유용성 평가 실험을 통해 본 연구에서 제시하는 방법이 기존의 비교 가능한 연구들에 비해 더 효과적인 것을 밝혀냈다. Many available online product reviews for any given product makes it difficult for a consumer to locate the helpful reviews. The purpose of this study was to investigate automatic helpfulness evaluation of online product reviews according to review information types based on the target of information. The underlying assumption was that consumers find reviews containing specific information related to the product itself or the reliability of reviewers more helpful than peripheral information, such as shipping or customer service. Therefore, each sentence was categorized by given information types, which reduced the semantic space of review sentences. Subsequently, we extracted specific information from sentences by using a topic-based representation of the sentences and a clustering algorithm. Review ranking experiments indicated more effective results than other comparable approaches.